We are delighted to announce that we have paired up with Best Loved Hotels to celebrate the release The Post starring Tom Hanks and Meryl Streep. 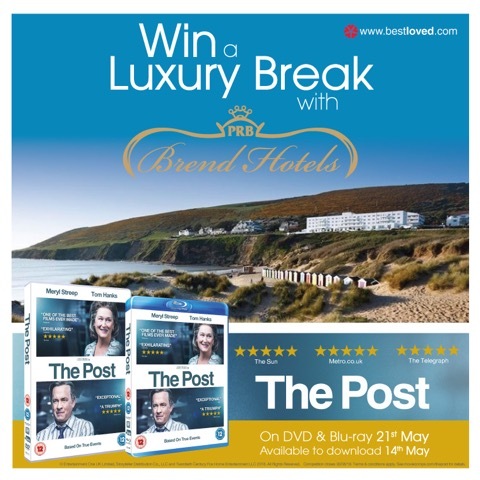 We are offering the chance to win a luxury break at any Brend Hotel! The prize includes a two night break, with dinner included on one evening, at any of the Brend Hotels. For your chance to win click this link.